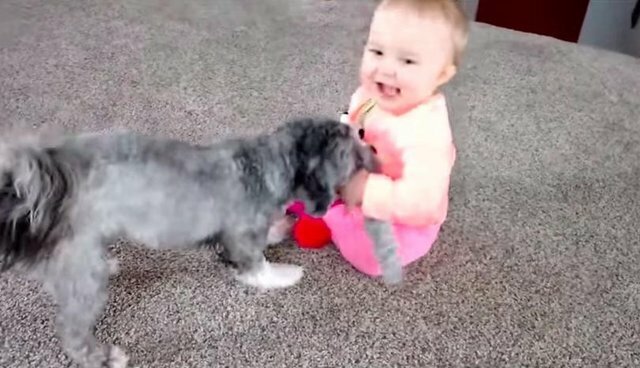 Human baby Leighton and her puppy Zayla both love the same toy, and they sneakily steal it back and forth from each other. 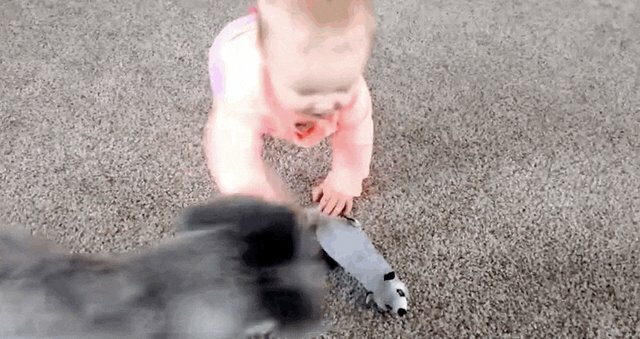 Leighton strikes first by nabbing the squeaky weasel. 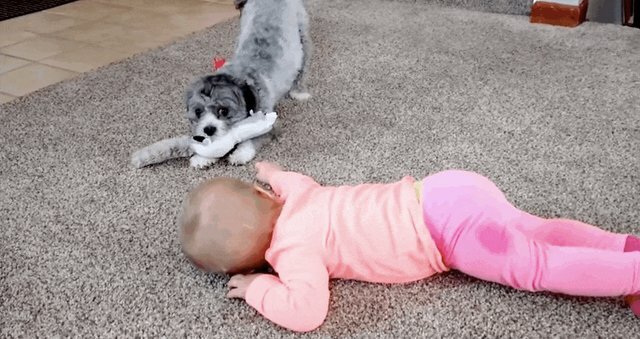 She goes for it again! But this time Zayla holds on. 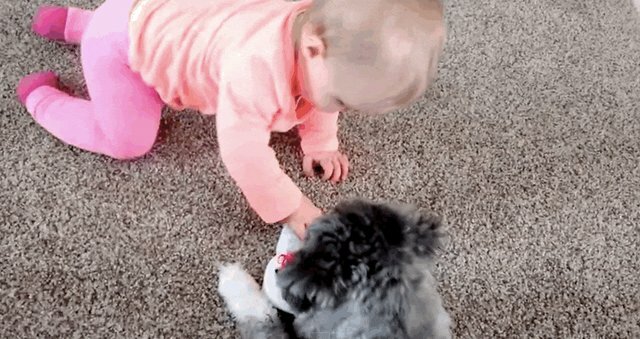 It's like an epic clash of the cute. Then Leighton sort of gives up for a while. "I can't go on. 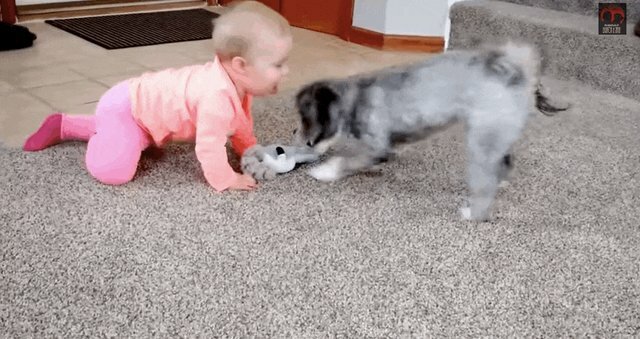 You win puppy." But like any true battle, the whole thing ends with a kiss.